​This interval is what bothers me. Like the end of time. From the grip that I had held so loosely. Today was one of the best days for me, and I felt this should be recorded somewhere, so here’s another post from me! Today I and my friend, D, about whom I had mentioned earlier, had a great day together. We happen to be batch-mates in our final year project, and after our work was done in college, we asked our other batch-mate to head home. We both then went to a local eatery and ate. After we had eaten, we came out and started walking at a random direction… neither of us were sure where we were headed to. But, when she asked me where we were going, without much thought, I asked her if we could head to the same place we went every time… to a nearby tank, which had murkily-green water. A few people were washing their clothes there, and a few were bathing… and a few were swimming there! Eek! We finally settled on a high platform – on a high stair, actually, and looked on. We chatted a bit about Johnny, who was a part of her family… she’d tell me about his antics (she’ll kill me if I addressed him as a dog… so I guess I won’t say such mean things about him here…). He’s really cute. ‘He’s a beauty’, she’d say. And I would very, very much agree. Once you see someone like him, then you’d want to pet no one else but him! And then, we did something better than just sit and chat… even though we knew we didn’t have much charge left in both our laptops, and despite the scorching afternoon sun which would render it almost impossible to even look at our laptops, we decided to watch a movie – Forrest Gump. We adjusted the brightness and made it full… we were able to make out what was happening, but that’s about it. And that was all that mattered. After watching almost half of the movie in the banks of the Mahamaham tank, her laptop said that it couldn’t any more run without food, and we immediately switched to mine. We had only fifteen minutes or so for the movie to end when my laptop gave us a similar intimation as well. Shutting it down, I went over to the bus station along with her to drop her… we walked, actually. As soon as she left, I knew I would write a blog post about this day. It had been an amazing day at the banks of the blissful Mahamaham tank. All days spent at this place are. 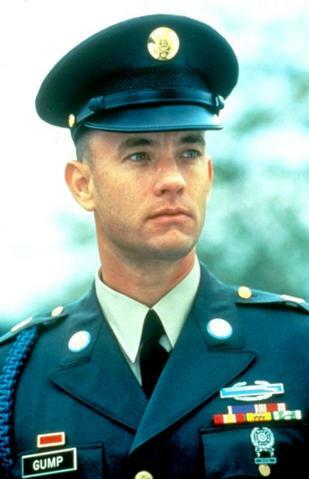 And Forrest Gump had made our day even better!